Roberto Colaninno: "We have the strength of a great brand portfolio offering solutions for all market segments and opening the way for new categories, forms and areas of mobility"
Milan, 13 November 2015 – The European leader in two-wheelers with an overall market share of 15.1% for the nine months to September (up from 14.5% in the first half), rising to approximately 25% in the scooter segment, the Piaggio Group comes to EICMA 2015 with net sales for the first nine months of 2015 of more than one billion euro (+7.7%) and worldwide shipments of 396,200 vehicles from January to September this year. Its revenues grew in all regions (+6.4% in EMEA and Americas, +9.8% in India, +9.7% in Asia Pacific). Among the brands of the Group headed by Roberto Colaninno, revenues rose in the scooter segment for the Vespa brand (+6.8%), and in the motorcycle segment for Moto Guzzi (+35.7%) and Aprilia (23.4%). EICMA 2015 is being held during the 130th year of activity of the Piaggio Group, which was established at the end of December 1884. 2016 sees important anniversaries too: 70 years of the Vespa (patented on 23 April 1946 and taken into production immediately afterwards) and 95 years of Moto Guzzi, founded in 1921 at the legendary factory in Mandello del Lario, where the headquarters and production lines of the "Eagle" are still located today. The solidity of the brands in the Piaggio Group portfolio, each with its own mission, prestigious heritage and distinctive style and technical features, is reflected in the large stand organised by the Group for EICMA 2015. A stand whose architecture and details echo the world of the new Motoplex multibrand flagship stores recently opened by the Piaggio Group in cities around the world, including Milan, Manhattan, Shanghai, Beijing, Pune. EICMA 2015 marks the debut of a number of brand new motorcycles. 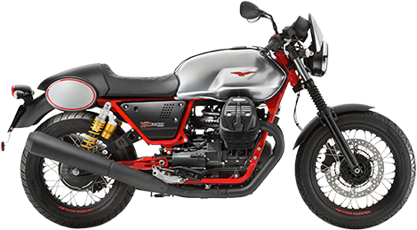 First up is the Moto Guzzi V9: a new V-twin 850cc engine, with cardan shaft, new frame and design, with two models targeting two new segments: the V9 Bobber, light and easy, with large tyres, which looks Stateside, and the Roamer, a magnificent medium-size custom bike. America’s Route 66 and great coast-to-coast trips are the inspiration for the MGX-21, a stunning 1400cc bagger, whose transposition from show bike to standard model (to be presented in August 2016 at Sturgis) has been achieved without compromise. Meanwhile, the new V7 II Stornello is firmly rooted in Moto Guzzi history, reprising the name, style and technology (colours, knobby tyres and high exhaust) of the very first Italian motorbikes to be transformed into scramblers in the 1960s and 70s, beginning with the original Stornello. 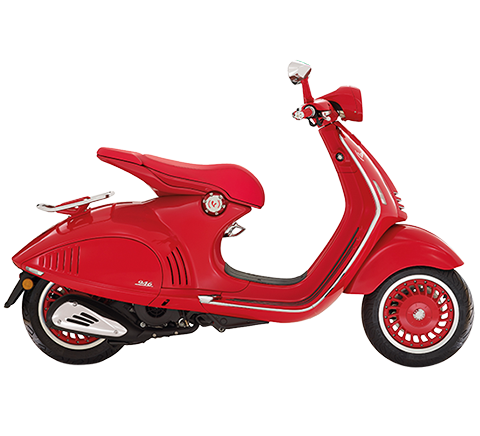 With Vespa, the Piaggio Group has successfully carried the legend forward, introducing a number of brand new products such as the 946, the Primavera, the Sprint and the new versions of the GTS. The design, technology and quality challenge has been accompanied by the challenge of turning a product regarded as a symbol of Italy into a global name. Piaggio’s success in meeting that challenge is reflected in the numbers: 1,500,000 Vespa scooters shipped worldwide since 2005, with a 2015 year-end forecast of an additional 166,000 shipments. A preview of the events the Piaggio Group plans to celebrate the Vespa’s 70th anniversary can be seen in “Vespa Settantesimo”, the versions and special colours unveiled at EICMA for two of the latest models – the Primavera and the GTS – and for a Piaggio evergreen, the PX, in production since 1977. The Aprilia world means racing. EICMA sees the debut of the RSV4 RF model year 2016, a further refinement of an already perfect motorcycle, which this year, adding to its 7 world Superbike titles, secured a double championship triumph with the Riders title (Lorenzo Savadori) and the Manufacturers title in the Superstock 1000 class. Victories that join the 54 world championship titles won by Aprilia in 20 years (28 since joining the Piaggio Group). 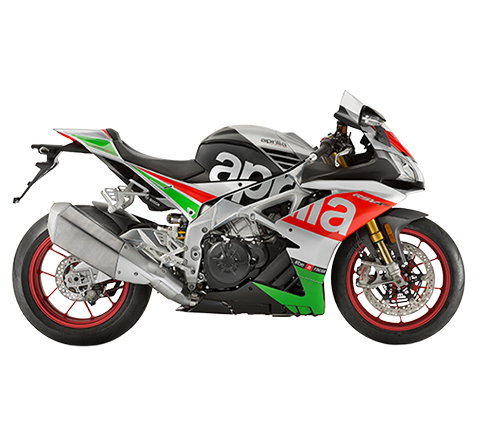 In the more esoteric segment of supersports bikes comes the Aprilia Factory Works project: the Aprilia championship technology is now available for everyone. For professional riders, collectors or racetrack-Sunday devotees, Aprilia Racing is offering custom bikes developed and built to customer requirements, in accordance with the regulations of the Superstock and SBK championships in the various countries, with different chassis, electronics and engines, whose top configuration will exceed the 230 HP threshold. As well as the Vespa , the scooter exhibit presents two completely new entries for Piaggio, the brand that stands for instantly recognisable, technologically advanced, cutting-edge urban and metropolitan mobility, exemplified by the success of the revolutionary Mp3, the first three-wheel scooter and by far the best-selling product in its category, year after year. EICMA 2015 sees the debut of two brand new entries for Piaggio high-wheel scooters. 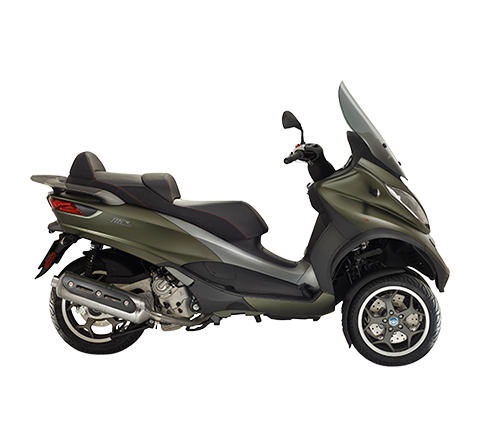 After the extraordinary success of the first Liberty generation, with nearly one million sales, Piaggio introduces the new generation of its high-wheel scooter. 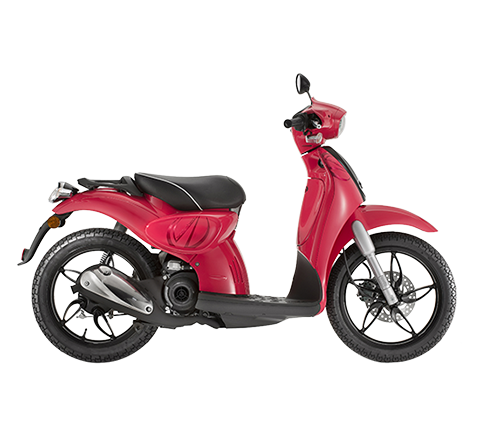 Unmistakably a Liberty, but with superior quality and in line with current values, available with a new range of 4-stroke electronic injection engines (Piaggio iGet 50, 125 and 150cc) for eco-sustainability and low fuel consumption, and with ABS as a standard feature on the 125 and 150 versions. The second announcement marks a new product and a new product segment. 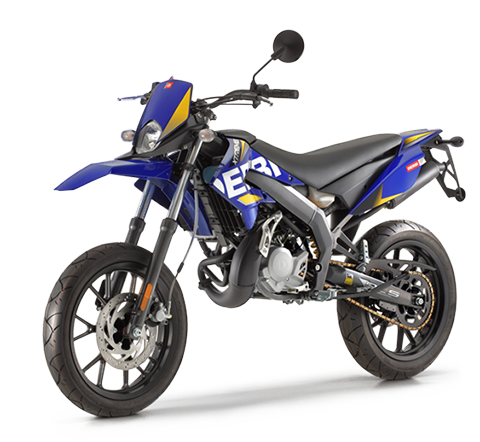 The Medley is equipped with the most powerful liquid-cooled version of the new Piaggio iGet 125 and 150cc engines, with a start & stop function. 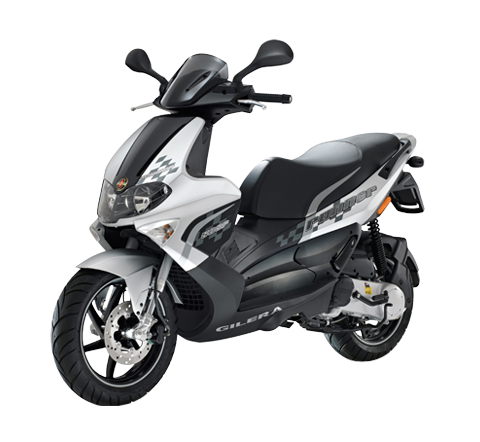 Slightly larger than the Liberty, more compact than the robust Beverly, the Medley is a new segment in the Piaggio Group offer, intended for a young male and female user with a normal driving licence. The exceptionally spacious underseat compartment has room for two helmets, a unique feature in this category of scooter. Rounding off the main new entries from the Piaggio Group (which is also showing many model years and new versions for a number of brands, as well as additions to the Moto Guzzi Garage range of special components for custom bikes) is the Piaggio eBike. The Piaggio Wi-Bike, presented in the standard version at EICMA, and designed and developed entirely in Italy by Piaggio, is available in four different outfittings. Always connected to the world via the web, this is the eco-friendly vehicle of the future, connected to the net and to smartphones to deliver a huge range of services, from fitness to geolocation.